I have been having so much fun completing the TpT Seller Challenge! It has really caused me to step out of my comfort zone when it comes to making products and reaching out to other teachers for help and support. 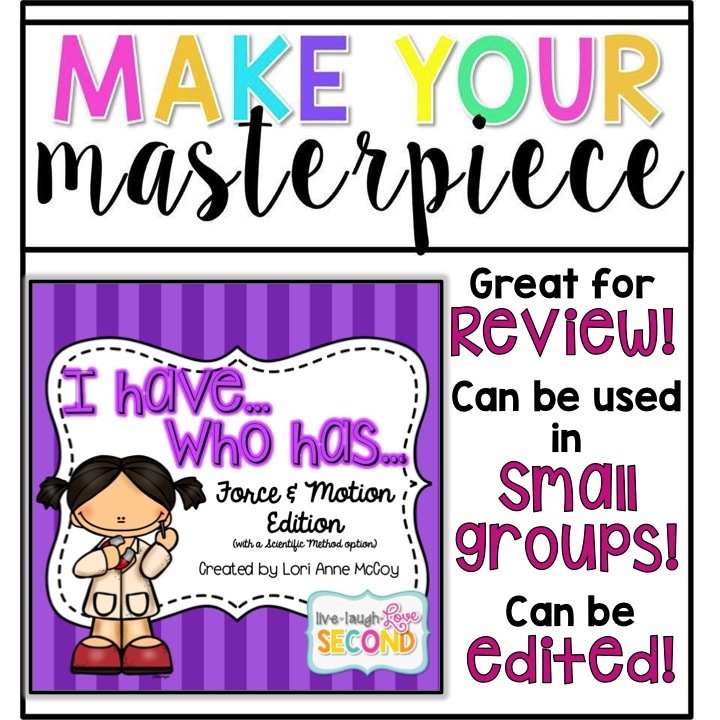 This past week's challenge was for us to "Make Our Masterpiece". Well, I thought back to my "Dare to Dream" goal, and I knew I wanted to focus on using materials I had already made for my class. I mean, what better product is there than one I've already tried and had success with in my room? Unfortunately for my class, my GREAT IDEAS usually happen in the wee hours of the morning before school, so they got the quick, not so eye-catching product. To be honest, I don't think they ever cared if what we were doing was beautifully printed on bright cardstock and laminated. They were more interested in if it was going to be FUN, and I was more interested in if it was going to be PURPOSEFUL. So, that is how my Masterpiece was born. It originated 2 years aho as an early morning idea for review for my classes. We were reaching the end of the unit where we would soon shift into experimentation and less on direct instruction of key vocabulary and concepts. So, I turned what could have been a mundane review into a fun "I have, Who has?" game. I had seen something similar using math concepts, and I thought I would give it a go. I used our force and motion vocabulary, examples of different forces and speeds, and even threw in the Scientific Method, since we had embedded it into the unit. Ohemgee...the kids went bonkers. They LOVED it. They kept wanting to play it over and over. They learned how to properly respond when they thought an error was made and how to support each other. It was amazing. So, what better than to turn it into a masterpiece??? I love the way it turned out, and I can't wait to use it with my new students next year. Click HERE to check it out on TpT, where I'm marking it down to only $1 through Sunday night. Any comments are appreciated! 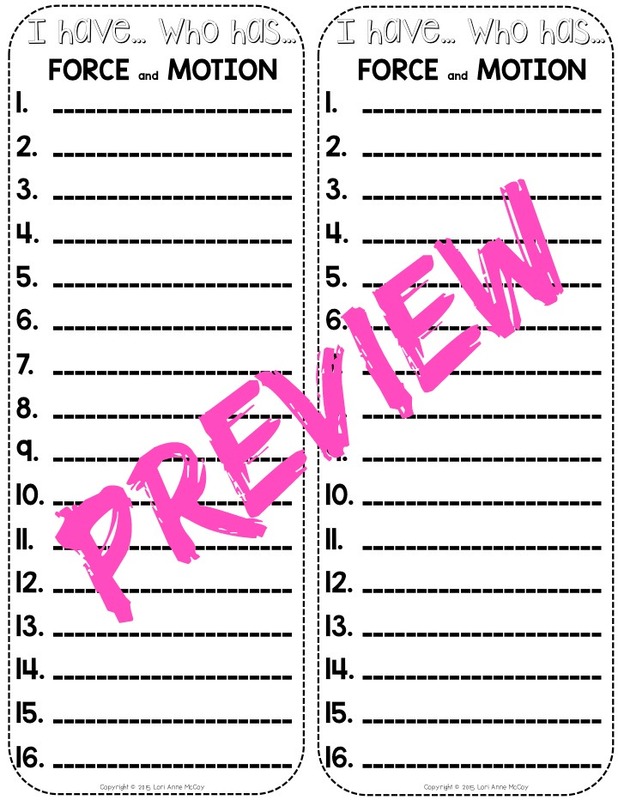 Here are some preview pages to give you a peek! The pack includes black and white cards and color cards and an answer page. The pack does have an option to include the Scientific Method, but you certainly do not have to! And there are editable cards included in the .zip file to make any additional cards you might want. But first...would you like to win a free copy for you AND a friend? Enter in the Rafflecopter below. When a winner is selected, he or she will be able to choose a friend to receive a copy, as well! Thanks for reading and stay tuned for the epic conclusion to the TpT Seller Challenge: Follow Frenzy! Thanks for the shout out!! 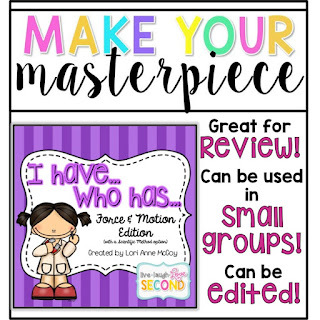 I just bookmarked your blog and so glad to find another awesome second grade blogger!! Your blog is absolutely adorable! !